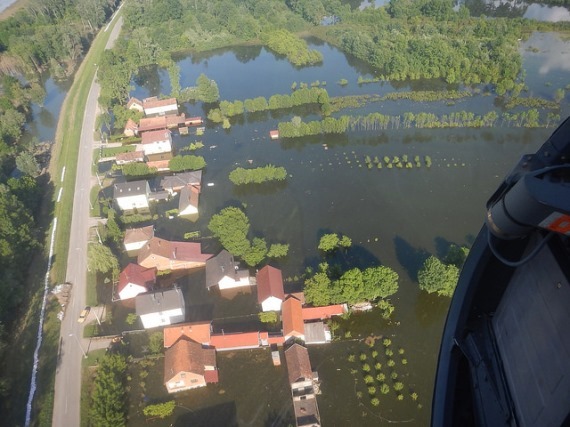 Serbia and Bosnia and Herzegovina suffered many losses and damage this spring when both countries were hit hard by the heaviest rain in 120 years of recorded weather measurements. Official counts indicate that over 1.6 million people were affected in both countries after a week of flooding. Assessments of the damage range up to several billions of dollars. Official figures for the damage in Serbia alone stand at 1.55 billion euros (1.98 billion dollars). The events initiated a large international aid campaign, with numerous countries and organizations donating humanitarian and monetary support for the affected areas. Among the supporting organizations is the World Bank Group. The institution just approved a 227.5 million euros loan (300 million dollars) to aid the country's emergency recovery efforts. The loan is intended to meet critical needs in the power and agriculture sectors, repairing damaged flood control infrastructure, and helping the country better respond to natural disasters. This loan is causing headaches among the civil society groups (CSO) and affected communities in the area for many environmental, social and possible corruption-related issues. Almost half of the loan is dedicated to securing energy to meet the demand in the country after the nation's biggest coal mine turned into a lake as a result of floods. What remains yet unclear is whether the energy will be delivered in the form of electricity imports from the region or in the form of coal, as the Serbian government wishes. If the latter is true, it would also create headaches among the World Bank staff, as it conflicts with the institution's policy on investing on coal. Part of this loan will be utilized to dewater the coal mine itself, known as Tamnava West Field mine. This part of the business could be even more sensitive. The open pit mine is notorious for many issues that relate to involuntary resettlement of inhabitants of the area. The European Bank for Reconstruction and Development (EBRD) disbursed millions of dollars to the Electric Power Industry of Serbia (EPS), the state-owned electricity provider, for mine expansions. Besides many environmental concerns over the projects, affected communities allege that resettlement has not been carried out in accordance with national and EBRD policies. Tamnava West Field mine in Kolubara from Airworx on Vimeo. Similarly, a complaint filed by Milan Simić is still pending at EBRD. Milan claims that he was not compensated for the fruits, trees and rose bushes he had previously planted on the land located at Tamnava West. The damage he claims is 10,000 euros (12,800 dollars). Milan is now living on the edge of the mine turned into a lake which will be pumped out with the help of the World Bank. He demands now that he and his family be relocated to a safer area prior to any dewatering. His family is not alone in requesting this as dozens of other households in Radljevo village demand to be relocated as well. Civil society groups are anxious to see the Bank stick to its own rules on resettlement. To exacerbate this anxiety, there is an unresolved discrepancy between the amount of water the Bank has foreseen to remove from the pit and the amount the state-owned company predicts. Neither of them has accounted for the precipitation factor. The appraisal documents published by the World Bank state that 187 million cubic meters of water will be pumped out of the mine. With the Balkans winter approaching and more rain anticipated this fall, civil society groups believe that up to one third of the water could be left untouched in the mine if this discrepancy is not addressed now. Adding fuel to the fire, parts of the loan could be used for another highly controversial project. 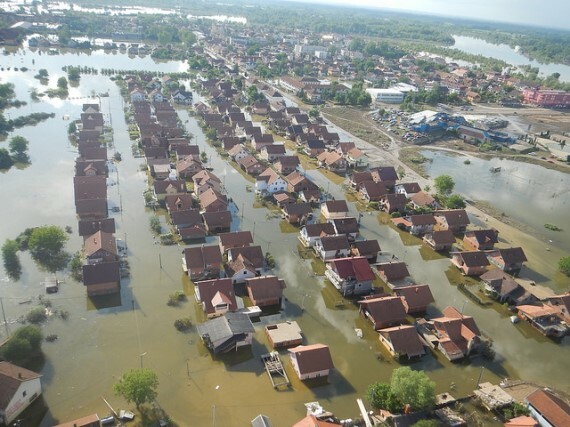 Obrenovac was the hardest hit town by the floods. The electricity meters previously installed in the households there need to be replaced. To address this, the Belgrade Power Distribution (EDB) has signed a deal to buy almost 40,000 electricity meters from ELECOM, an energy trading company. Soon after this, the other bidder in this process, Enel, put forward a claim that the deal was "fraudulent". Enel claims that they offered to provide the meters for 2.5 million euros (3.19 million dollars), while the deal was signed with ELECOM for 3.5 million euros (4.47 million dollars). Civil society groups warn that the power distribution company is using the emergency situation to favor bidders connected with the country's energy moguls. It remains to be seen how the World Bank money will be allocated in this projest. The World Bank has yet to respond to these claims after CSO representatives sent letters demanding answers and requesting to meet. The Bank is currently reviewing its environmental and social safeguard policies for the first time in its history. It remains to be seen if the current policies are to be implemented in Serbia. These policies are critical to deal with a very slippery loan that, without proper safeguards, could lead to more coal investments, inadequate resettlement, and possibly corrupt procurement procedures.